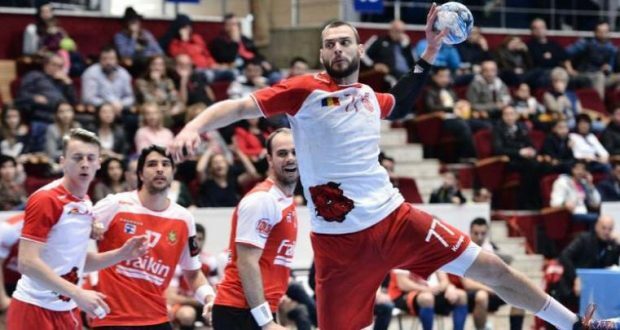 Dinamo Bucharest men’s handball team has failed to qualify to the Champions Leagua last sixteen round, being defeated at home, on Thursday, by Sporting Lisbon 27-26 (11-15), in the second round of the play-off. Dinamo had been defeated also in Lisbon, in the first round, 32-31. Dinamo led 15-11 at halftime, but the second half had a poor game. Sporting leveled the score in the 43rd minute (19-19) and then took the lead, with the Romanian champions missing important opportunities. Dinamo scorers: Răzvan Gavriloaia 6 goals, Andras Szasz 6, Kamel Alouini 4, Vitali Komogorov 3, Hugo Descat 2, Amine Bannour 2, Ante Kuduz 1, Seyed Alireza Mousavi 1, Nicuşor Negru 1. Sporting scorers: Valentin Ghionea 3 goals, Frankis Carol Marzo 8, Carlos Ruesga Pasarin 5, Tiago Rocha 4, Fabio Rocha Chiuffa 2, Pedro Solha 2, Edmilson Araujo 1, Pedro Veitia Valdez 1, Ivan Nikcevic 1.